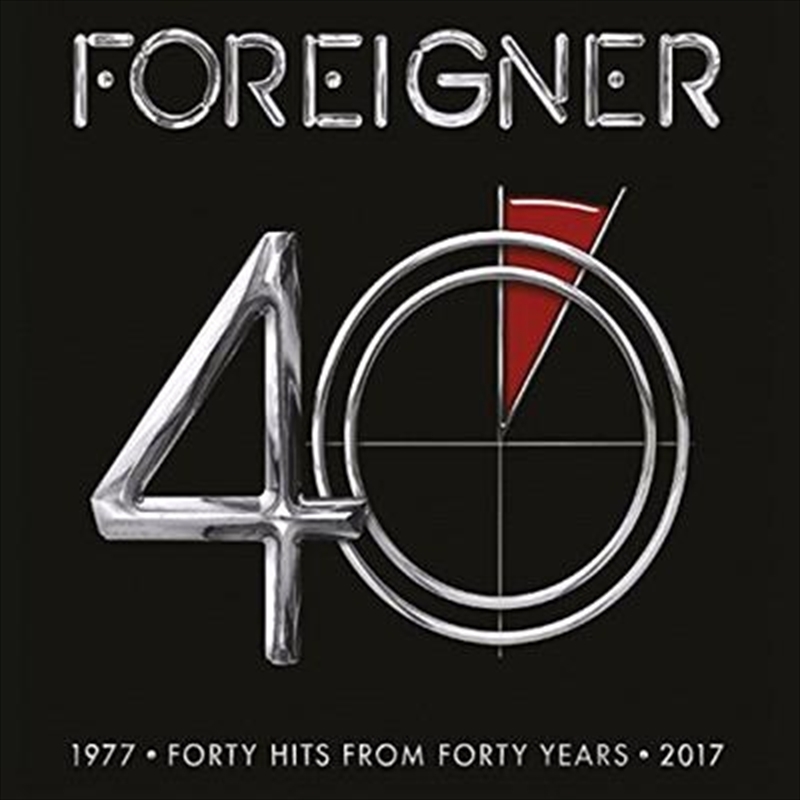 The Legendary Foreigner Celebrates Milestone 40th Anniversary With Career-Spanning Remastered Double-Disc Hits Collection Featuring Two Newly Recorded Tracks! Foreigner will celebrate 40 years as one of rock's most popular and enduring acts with a new career-spanning compilation titled '40' that features 40 hits from 40 years. Rhino 2CD release '40' includes 40 songs recorded between 1977 and 2017. Following its self-titled debut in 1977, Foreigner went on to record some of rock's most enduring anthems — "Juke Box Hero" and "Hot Blooded" — as well as the #1 smash "I Want To Know What Love Is." The group has 10 multi-platinum albums to its credit and is one of the best-selling bands of all time, with worldwide sales in excess of 75 million. '40' brings together the best songs from Foreigner's nine studio albums, including all 16 of its Top 30 hits: "Feels Like The First Time," "Cold As Ice," "Waiting For A Girl Like You" and more. The collection features "Too Late" from the group's 2008 retrospective No End In Sight and "The Flame Still Burns," the title track from a vinyl EP released just last year, making its debut on CD in this collection. All prior recordings have been remastered and the album features two new tracks recorded especially for this release, "Give My Life For Love" and a new version of "I Don't Want To Live Without You."